Every so often I get sent a fragrance just for fun. By that I mean that it's not something that is commercially available. Sometimes it's a modification, sometimes a trial, and sometimes an unused test. This was what happened last year when 4160 Tuesdays, more specifically Brooke Belldon, found an unreleased fragrance in the workshop and sent me a sample. A combination of luck, Brooke's squirrelling and my love of gin meant that I was unexpectedly given the ultimate feel-good fragrance. Throw in my not being able to read Brooke's handwriting and this years INVISIBLE PALLADIA was born. The trend for "fragrance combining" is now pretty well established. You take two perfumes, or a perfume plus a body cream, and combine them to create your bespoke scent. What you don't do though is take two fragrances, rip the lids off, and literally mix them in a beaker. Well, unless you're Sarah McCartney who runs 4160 Tuesdays. She took two fragrances, Invisible Ben and Paradox, and mixed them to create Invisible Paradox, which I misread as INVISIBLE PALLADIA. It's interesting that Paradox is the only fragrance by Sarah that I don't like (sorry!) but in this blend, and used as an ingredient, it works wonders. The idea of using a "fragrance" as an ingredient is nothing new. Aime Guerlain used his father's Eau de Cologne Imperiale within his own masterpiece, Jicky. Rather than having to create a brand new fresh accord he used it to provide a piercing opening that linked beautifully to the lavender. 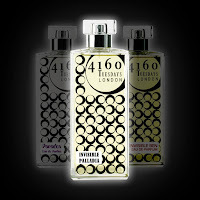 In essence a "fragrance" is an accord and so why not blend them together? Well it's not quite as simple as that. In perfume one plus one very rarely equals two. Blending two ingredients or two “fragrances” can create something unexpected and unpredictable, but in the case of INVISIBLE PALLADIA the sum of the two scents resulted in something wonderfully original. 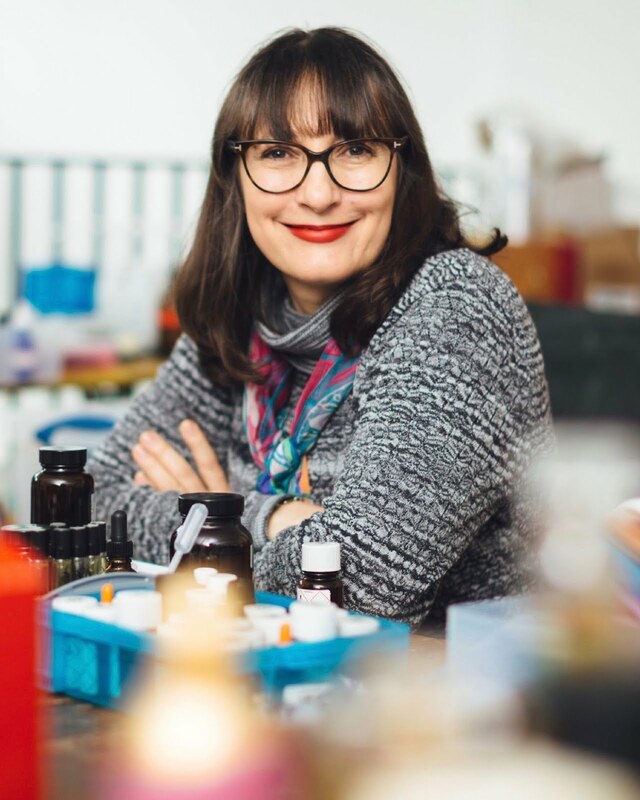 When Paradox was launched it was as a fundraiser for Fifth Sense, a charity that helps people who lose their sense of smell, and was built around ingredients that could still be enjoyed by Louise Woollam who was then recovering from the condition. Sarah blended these aromas into a violet and iris rich fragrance but for me there was something missing. 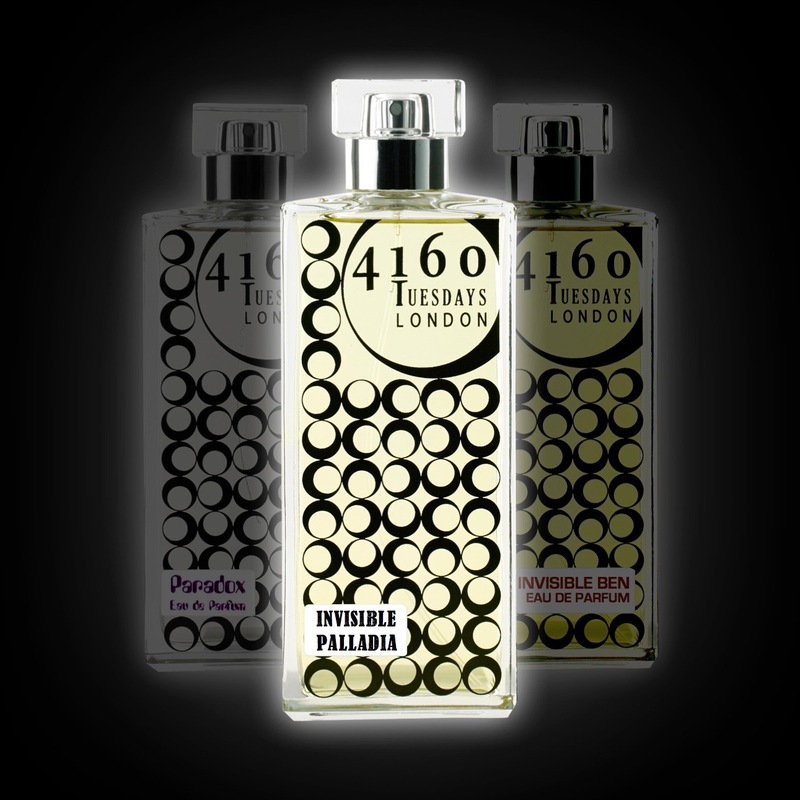 Invisible Ben was created for Sarah's old boss, who didn't wear fragrance, and so she wanted to create a skin scent. Now this citrus woody scent was always the perfect summer fragrance on its own, but add them together and the magic happens. INVISIBLE PALLADIA opens with a sparkling citrus burst accompanied by a piercing violet. Interestingly the violet almost immediately links into a juniper like tartness and, along with a huge dose of “effervescence”, brings gin and tonic firmly to my mind. You let out an audible sigh when you smell this because it honestly does make you instantly relax. You continue to smell that boozy quality but a beach-like freshness from the combination of zests and dry green notes puts you firmly in the sunshine. As the fragrance develops there’s a crispness, which I think comes from the combination of the musks and sandalwood, to bring a freshly laundered white towel to mind. 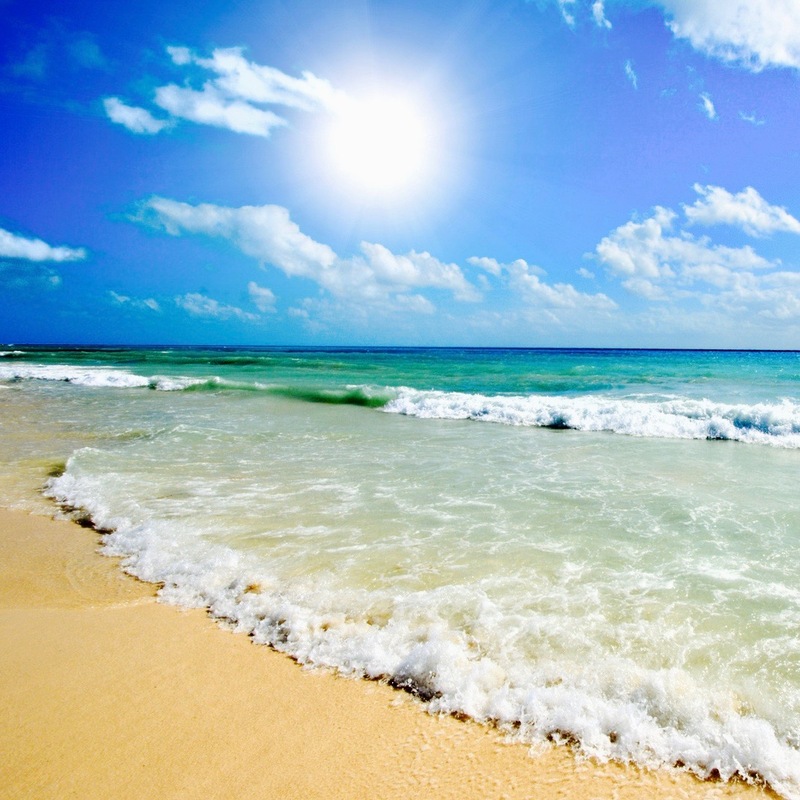 You’re suddenly lying on the beach with a Gin and Tonic and not a care in the world.